This summer, the Brooklyn Nets are taking the game of basketball to the streets of New York. The Brooklyn Nets Basketball Academy (BNBA) is hosting free clinics in various neighborhoods across Brooklyn and Manhattan three times per week through the end of August. The clinics, which teach basketball fundamentals and teamwork skills to youth, ages 6-14, will reach more than 2,850 participants by the end of the summer. Nets alumni will attend select clinics. 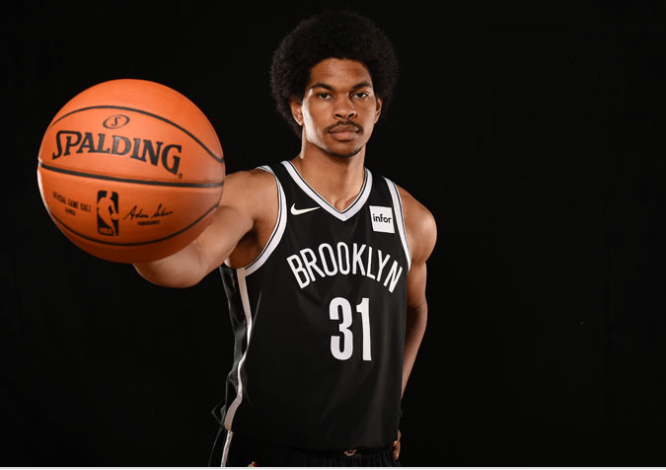 On Sunday, June 10, Nets player Jarrett Allen will be on hand for the BNBA’s second-annual Youth Tournament at Brooklyn Bridge Park. Eight teams from Brooklyn, Manhattan, and New Jersey will participate. The tournament begins at 10 a.m. and is open to the public. The BNBA will also have a presence at many of New York’s famed summer tournaments, including Dyckman, Gersh Park, Project Win, Funsport, BOBBITO GARCIA’S FULL COURT 21™ ALL WORLD, and Hoops in the Sun. At each event, the Nets will give away merchandise and entertain fans with dancing and dunking performances from the Brooklynettes and Team Hype. In addition, each tournament will have black and white Nets during their respective championship weeks, which will be cut down by the winning teams. The Brooklyn Nets Basketball Academy is dedicated to helping athletes learn basketball skills by utilizing elite training techniques and a distinctive coaching style that stresses physical improvement, mental growth, and leadership skills necessary for success.